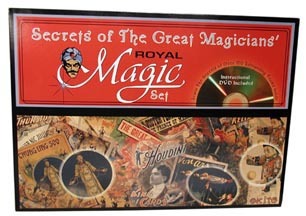 Chock-full of excellent tricks for the beginner, this magic set is packed in a gorgeous, full-color box that features pictures and posters of many of magic's most prominent practicioners of yesteryear, including Houdini, Cardini, Kellar and Herrmann. Inside you'll find props and instructions for over 100 incredible tricks, including a set of Goshman-made sponge balls, a Penetration Frame, Chain Escape, Magic Wand, Drawer Box, Rice Bowls, Wonder Blocks and much, much more. 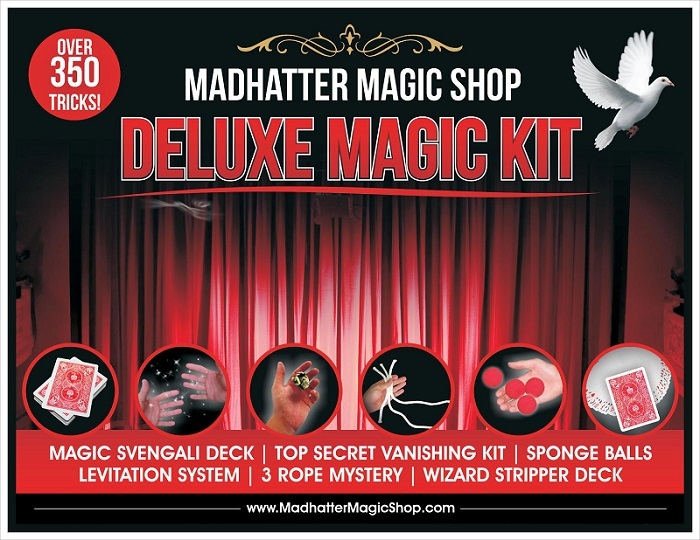 But, here's the best part: Each magic set comes complete with an hour-long instructional DVD teaching the purchaser how to perform with all the props included with the set! Magician Danny Orleans, known to many of you as a columnist for Genii magazine, is featured on the DVD. In addition to the DVD, written, thoroughly illustrated instructions are included as well. This magic set is the perfect gift for any occasion and the perfect introduction to magic!